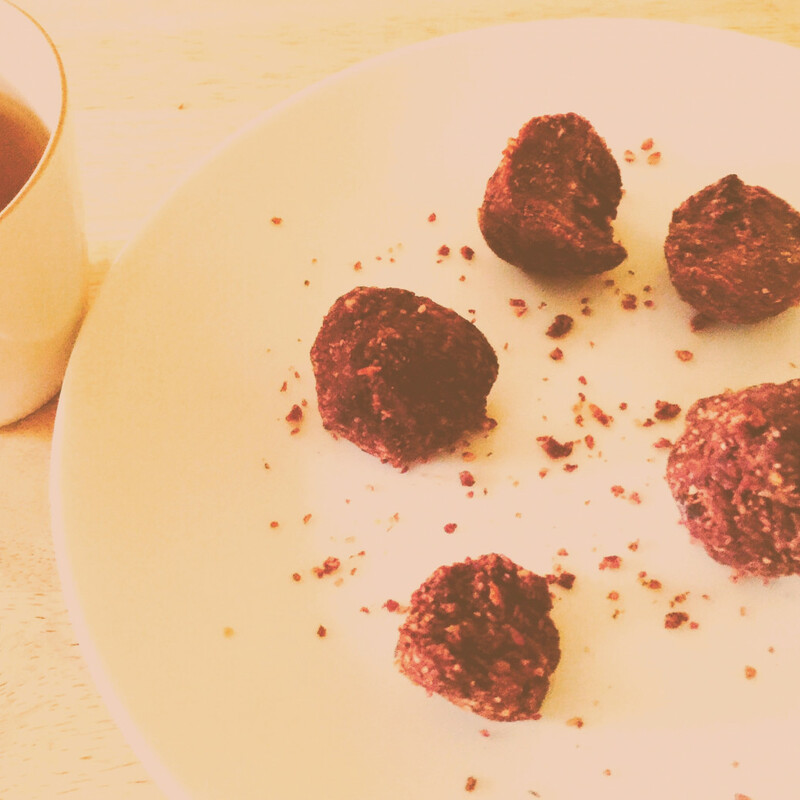 Beat pregnancy fatigue with these tasty, healthy energy balls with nutrients to help boost your energy or beat that 4pm slump. This delicious snack contains quality dark chocolate and raw nuts which both help release serotonin in the brain, a neurotransmitter that can improve your mood and make you feel more relaxed. The ground almonds are a good source of healthy fat to help concentration levels, clarity and also help improve your skin. The figs are an excellent source of manganese and magnesium vital for many of your bodies functions including balancing hormones and helping mood swings. They are easy to make and keep for a few days in the fridge. So make up a batch as a handy snack to take to work or as a healthy snack for your handbag when you are out and about. 1. Break up the dark chocolate and place in a heatproof bowl. Add a little boiling water to a saucepan which is smaller than the bowl. The water in the pan wants to be about 1 inch high. Heat the water so it is simmering. Place the bowl over the water, on top of the pan. Heat the chocolate, stirring until it is melted. 2. Add the cacao butter to the pan and stir in as it melts. 3. Remove the bowl from the top of pan. 4. Add all the other ingredients to cacao butter and dark chocolate mixture in the bowl and mix. Add more ground almonds if you need them so the consistency is sticky. 5. Then take a small amount of the mixture and roll into a ball in between your hands. 7. Place in the freezer of fridge to set. 8. If you place the truffles in the freezer, allow about 2 hours to defrost before you want to eat them.